A beautiful dress, a fancy updo and these 50s Dangle Crystal Earrings in Green in your ears... bring on the holiday season! 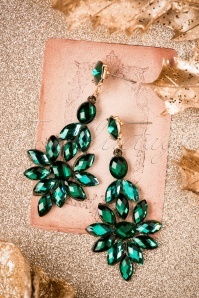 And though they might look heavy, these statement earrings are actually very light! 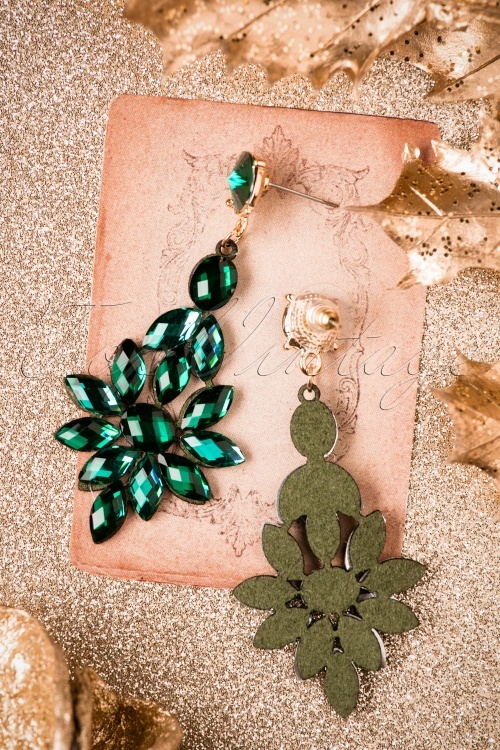 Made of gold toned metal featuring a long pendant with a beautiful faceted faux diamonds in emerald green. Christmas time is the perfect time to sparkle!